As of now, there is no official way to hide last seen on WhatsApp (exception-iPhone). The last seen time stamp work as a seen confirmation to WhatsApp. It ensures the sender that their message might have been read by the recipient. But sometimes this features to create a lot of confusion and unwanted dispute between two parties. So if you are looking to hide last seen for only one contact then try you can block them and they will not be able to see your online status. 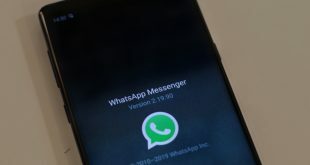 But the problem with that it they will eventually come to know that they have been blocked as there would be no contact images.In this article, I have summed up few workaround to Hiding WhatsApp Last seen. So without any further due lets get it started. Using this method you can hide WhatsApp last seen on all platforms like Android, Windows, iOS, Blackberry, Nokia. This method will even work if you are running WhatsApp from your PC. You will be able to chat with your selected WhatsApp friends without others seeing you online. This is how it’s done. The case I: I want to find out what my friend have sent me on WhatsApp without changing my last seen. Turn the internet off by putting the phone in flight mode. Then open you Whatsapp and read the message.Your WhatsApp time stamps will not get updated as WhatsApp requires the internet connection to update the timestamp. Case II: I want to send a message to my WhatsApp contact without updating my last seen on WhatsApp. The process is similar to the above-mentioned methods only change you have to do is turn the internet back after closing WhatsApp. In simpler words, you have to open WhatsApp, send the message and then put the internet on after closing WhatsApp messenger. 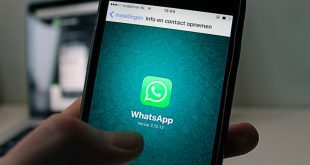 After the internet is closed, WhatsApp will detect an unsent message and will send it in a background. But if you frequently need to hide last seen on WhatsApp then the method of switching data packet on/off can be very tedious. There are some applications which can do this for you. Most of them don’t work very well, so I will be listing the best of them which I found suitable for testing. I am an Android user myself, but often I see my friend’s (who are iPhone user)have last seen missing. 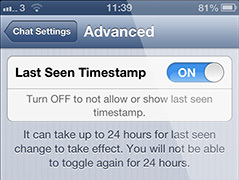 And when I asked them I came to know that WhatsApp version for an option to hide timestamp.So if you are iPhone users you can toggle timestamp on/off by going to Settings >> Chat Settings >> Advanced >>Last Seen Timestamp. There plenty of Whatsapp hide last seen apk. As they are not developed mostly by an individual, they don’t work well as they claimed. After trying many Android apps to hide last seen I find these two the best. It’s the best android app I have seen so far to turn off/on the internet while opening and closing WhatsApp respectively.Whenever you are in the mood to hide last seen on WhatsApp, just turn on this application.Now everytime you open WhatsApp your internet will get disconnected automatically, and the same will get turn on after closing WhatsApp. 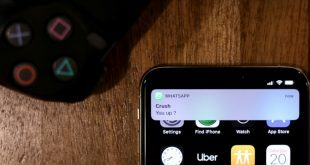 This tool provides the alternate notification for WhatsApp and Facebook. It is best when you want to read your WhatsApp messages however if you are going to reply to the text then it will reconnect to the internet. However, I could not find any working application to hide last seen on blackberry or windows, for now, you can try manually turn off/on the data network. If anyone of you knows any other app which is worth mentioning, then give me a shout out using the comments section below. Previous Can WhatsApp be Hacked? How to Secure your WhatsApp Account?